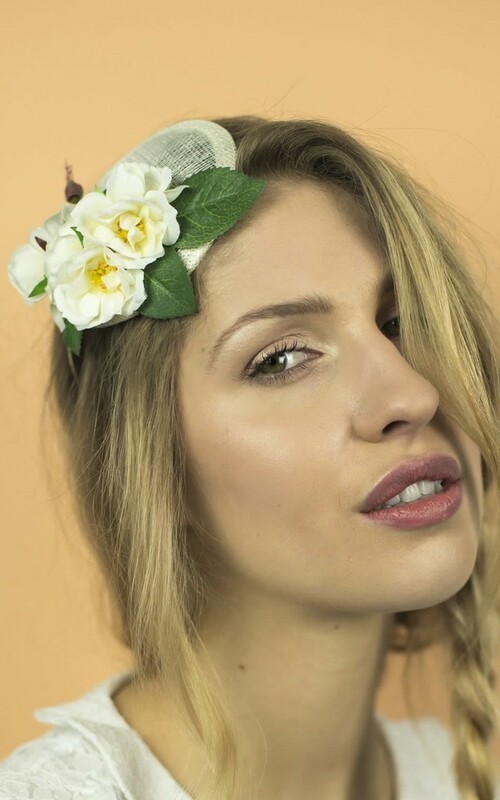 Perfect for ladies' day or weddings, the Wild Rose fascinator in cream is adorable paired with a flirty playsuit or a beautiful 50s dress. Add a touch of whimsy to any outfit with this beautiful English country garden design. Comes on a clear comb attachment as standard - if you'd like an aliceband, elastic headband or barrette clip attachment, please leave a note during checkout.